Unlike small water filtration systems that take time to provide potable water, making them useless for large families, the bigger gadgets are designed to purify a large quantity of water quickly, making them ideal for a family having many members. If this is not enough, most such filters are economically friendlier than the other types of filtration systems. We shall evaluate and discuss several best whole house water filter to find out which one of them is best suited for your needs. We shall also take a brief look at how each one of them works along with their advantages and disadvantages. Home Master HMF2SMGCC: This effective dual stage filter can remove particle particles larger than one micron from the water source. It employs a 4-gradient density filter in order to deliver water that is finer than that delivered by other models, something that you will find out when you check the clarity and taste of the water. 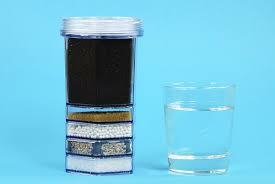 This model effectively blocks most contaminants, heavy metals, sediments and chemicals such as chlorine. The catalytic carbon filer that this unit contains can filter up to 85,000 gallons of water. It also ships with a 2-year warranty. • Friendly and easy to understand user’s manual. Home Master HMF3SDGFEC: This model is extremely popular and pocket-friendly too. Unlike the model described above, it delivers 15 gallons/minute of filtered water. The filter has the same efficiency of the above model and will trap particles one micron and above. The filtered water passes through an activated carbon filter before it reaches your faucet. This model can effectively filter 100,000 gallons of water. It is effective in removing manganese, sediment, iron, plus other chemical compounds. • Extremely effective… removes up to 95% of contaminants. Aquasana 10-Year: This is an extremely effective and low maintenance water filtration unit with a capacity of delivering 1,000,000 gallons of pure and potable water… sufficient to easily last 10 years, or even more. The unit ships with all stuff required for installation and functioning such as post filter, pre-filter, shut off valves, and brass fittings etc. • One requires a pex crimper for installing this filter. All of the models tested above provided odorless and tasty drinking water. Therefore, the price is the only criteria you should be looking at when purchasing one of the best whole house filter described above. It feels sad to note that people dump their old computers and other electronic goods in the nearest available land dump rather than sending them to a recycling plant. The heavy metals present in the motherboard and other electronic components leech into the soil from which they enter into the cracks of the line supplying potable water to your home. You might not be aware, but the water you are drinking contains salts of arsenic, lead, mercury, and cadmium along with bacteria as well. These salts adversely affect your health in the long run. To safeguard your health and that of your family members, search online for home water filters, select the type that meets your requirements, and purchase them. Once installed, they will remove the bacteria and other contaminants from the water, providing you with pure and “safe for health” drinking water. Here is a brief detail of the most popular types of such filters available. • Activated carbon filters: Also referred to as pre/carbon filters they are useful in eliminating removing bigger particles like silt & sediment from the water. They attract these particles and absorb them so that they are not present in water that flows out of their faucet. The water treated by such a filter hardly has any odor and is pleasant to drink. Such filters reduce the quantity of chlorine plus other contaminants, which can impart an unpleasant smell to the water, making it unpleasant to drink. 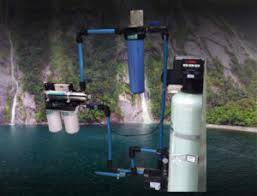 • Reverse osmosis: I shall not go through the harsh technical details of these filters. In simple English, these filters contain a semi-permeable membrane. The filter puts pressure on the water and forces it through the membrane, which traps all contaminants. The result is that you get clean and potable drinking water without any odor. 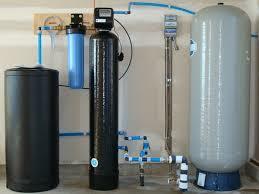 This is one of the most popular types of home water filter available in the market. • Ultraviolet filters: If you are looking for the latest technology, look no further than the UV filters. In addition to removing toxic alt, this filter kills bacteria present in the water too. The water from the faucet enters into a transparent glass cylinder where it is subjected to ultraviolet rays, which has the capability to kill bacteria. This is also one of the most environmentally friendly filter available, as it does not require chemicals or heat to function. • Water ionizer: These filters employ a procedure called electrolysis. In such a filter, water is passed over plates charged with electrically, and separated into two streams… acidic & alkaline. The acidic water is discarded and you receive the alkaline water through this gadget’s outlet. This purifier provides softer water, and the absence of acid is much healthier for your skin too.